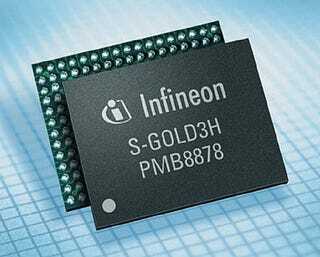 According to a Bloomberg report, Intel is closing in on a deal to acquire the wireless unit of Infineon AG. You know, the company responsible for the iPhone's baseband chips since 2007. That's one way to build a mobile presence. Bloomberg sources say that the $2 billion deal could go down by the end of this week. If true, it would make Intel immediately competitive in a mobile market that they've thus far been largely shut out of. Infineon may not be a direct iPhone 4 supplier, but they works with both Apple on the iPad and iPhone 3GS. Their technology is also onboard Samsung's Galaxy S series.